[The Magpie Murders and The Word is Murder] are not a series, but they are equally awesome and you should definitely read both of them! With these latest two innovative, unique mysteries, Horowitz firmly establishes himself as a master of the intersection between quirky innovation and compulsive readability. Delightfully creative narrative combines with classic detective story fun to make for the perfect read-all-weekend, must-find-out-whodunnit! 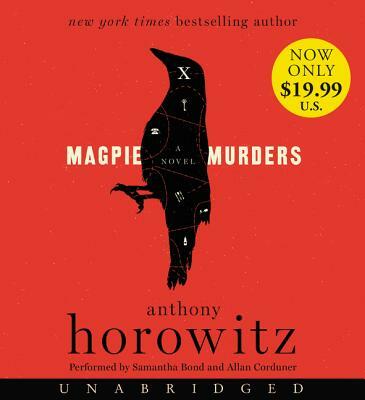 Masterful, clever, and relentlessly suspenseful, Magpie Murders is a deviously dark take on vintage English crime fiction in which the listener becomes the detective. Allan Corduner starred as Sir Arthur Sullivan in Mike Leigh's Topsy Turvy. Other films include Moonlight Mile, The Green Zone, and Yentl. He has extensive theater credits on Broadway and in London's West End.